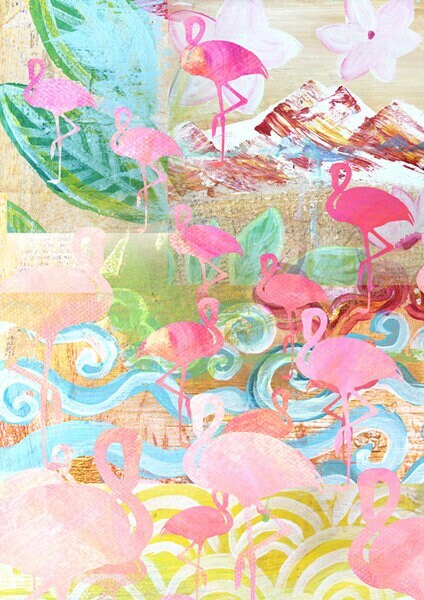 The Flamingo collage has DIN A3 size and is printed on stable, high-quality Epson archival Mat paper with high resolution. 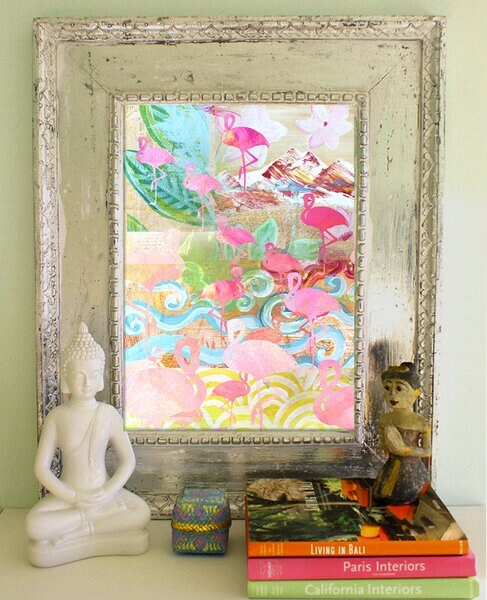 The picture I painted with acrylic paint, brush and spatula on cardboard, scanned and digitally created a collage. Safe shipping with a sturdy reel packaged in one pack.